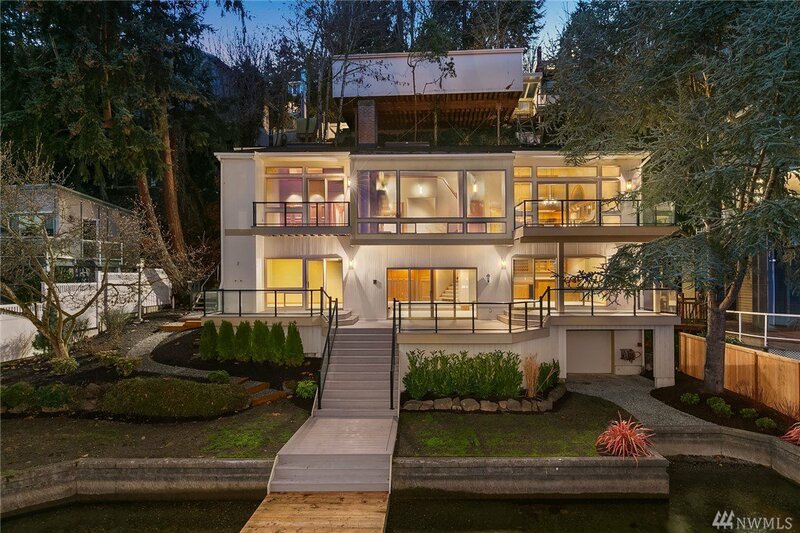 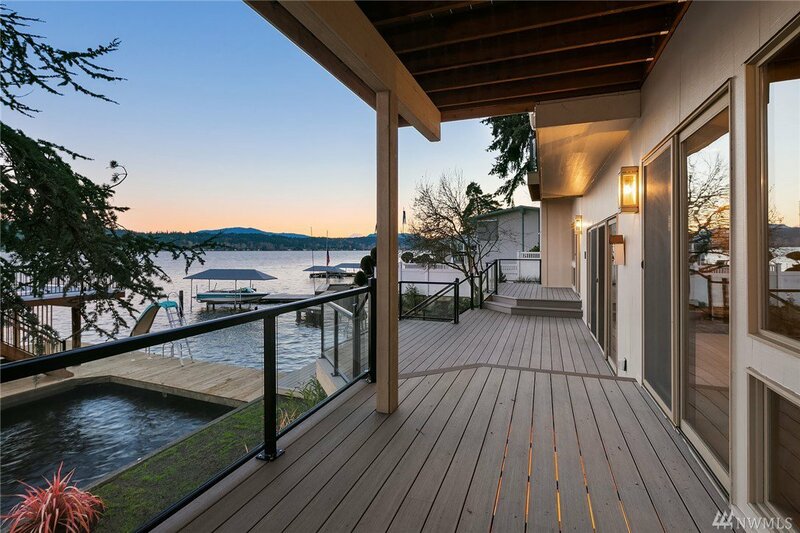 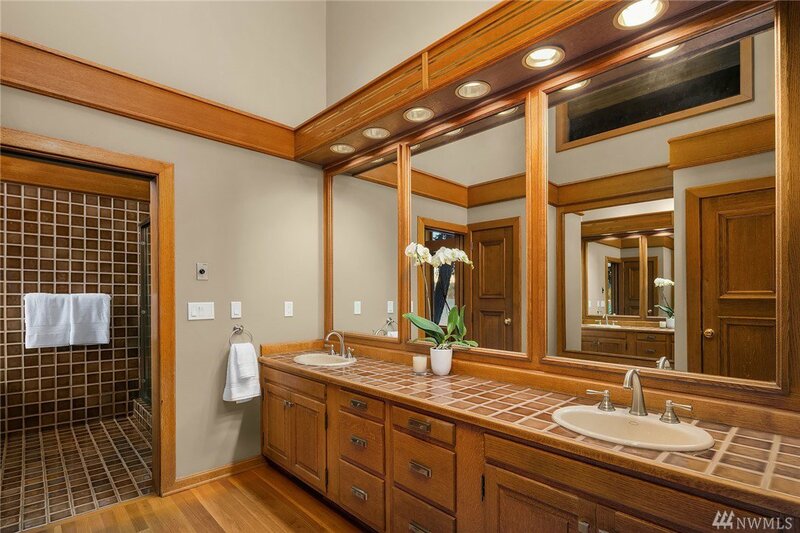 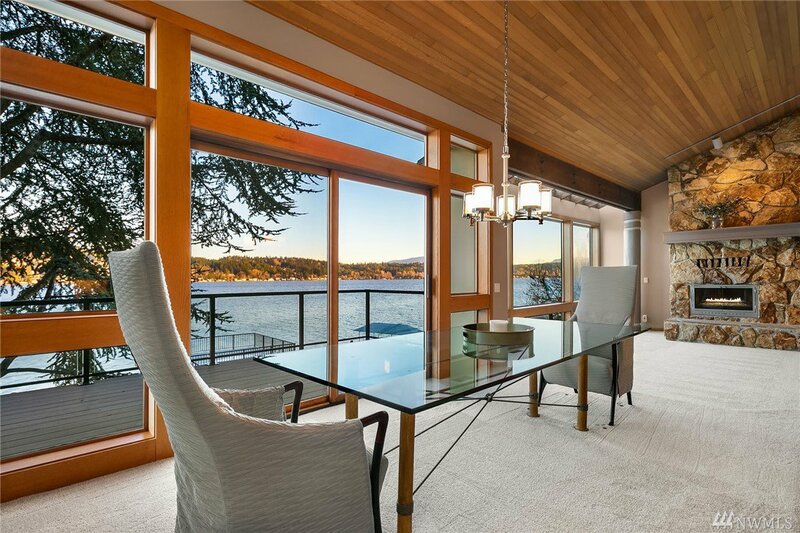 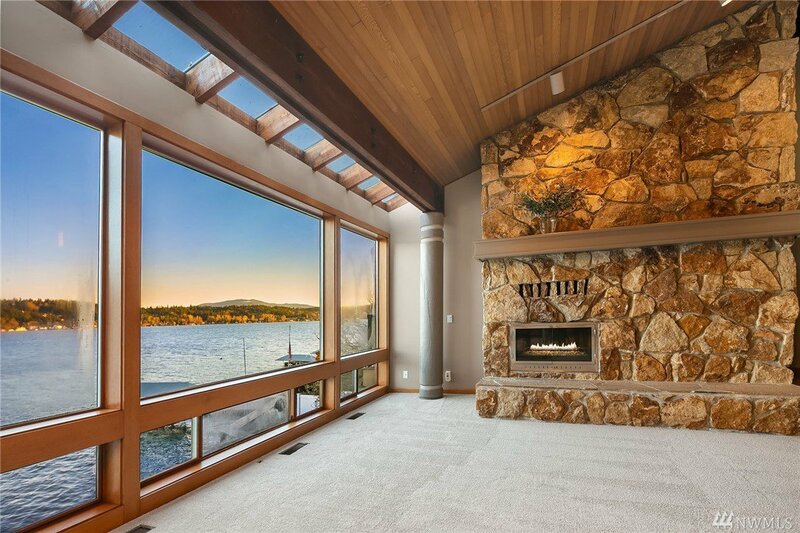 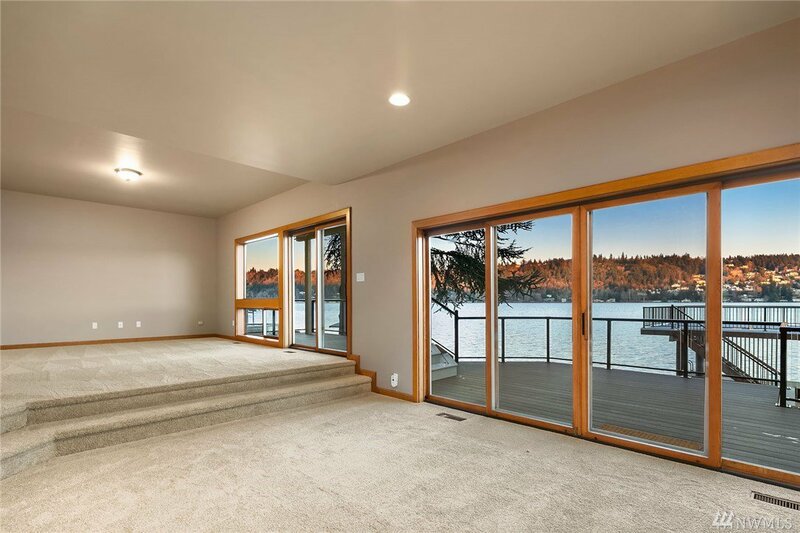 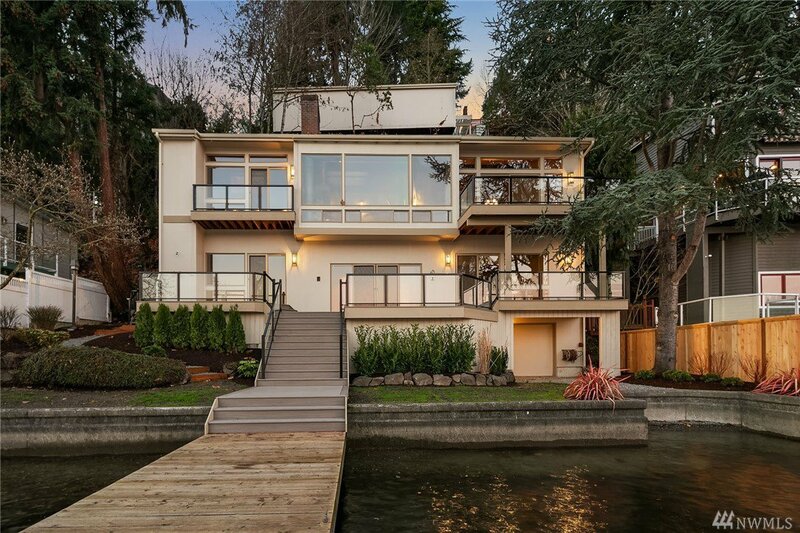 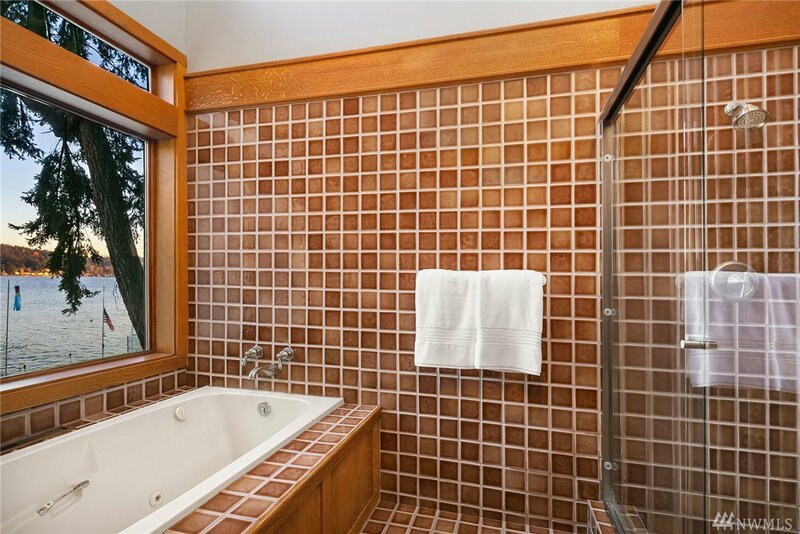 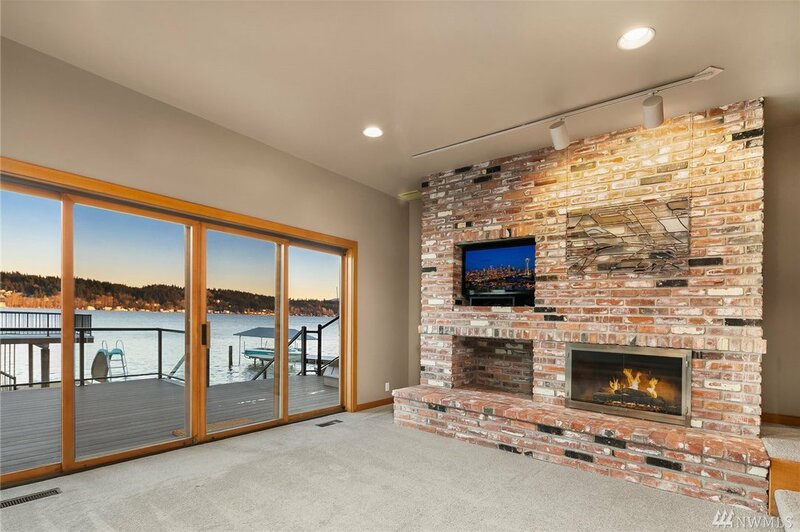 Sweeping lake views embrace the privacy of this stunning home. 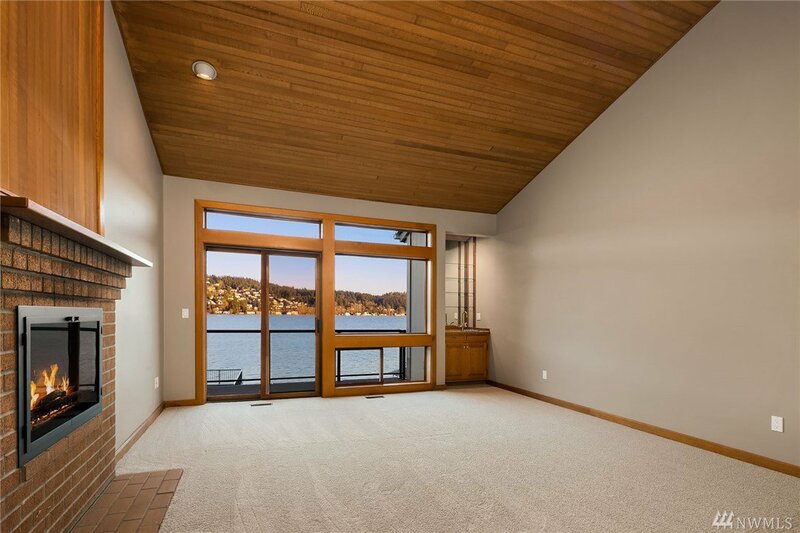 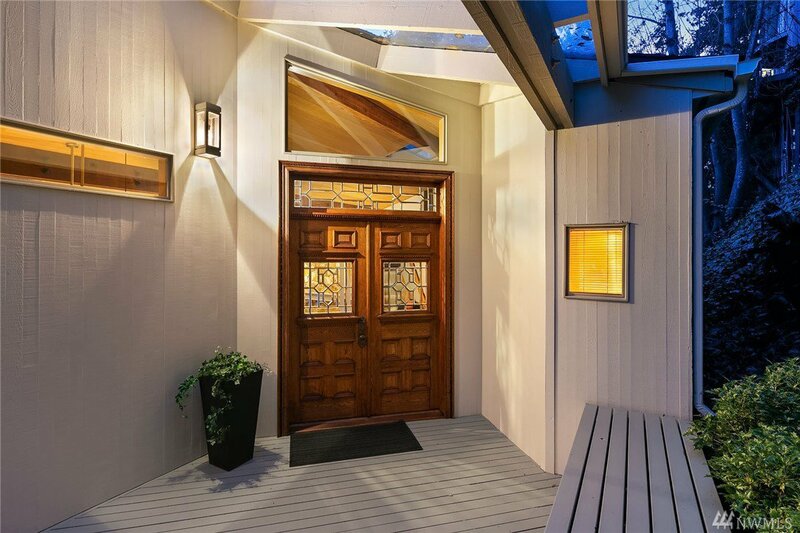 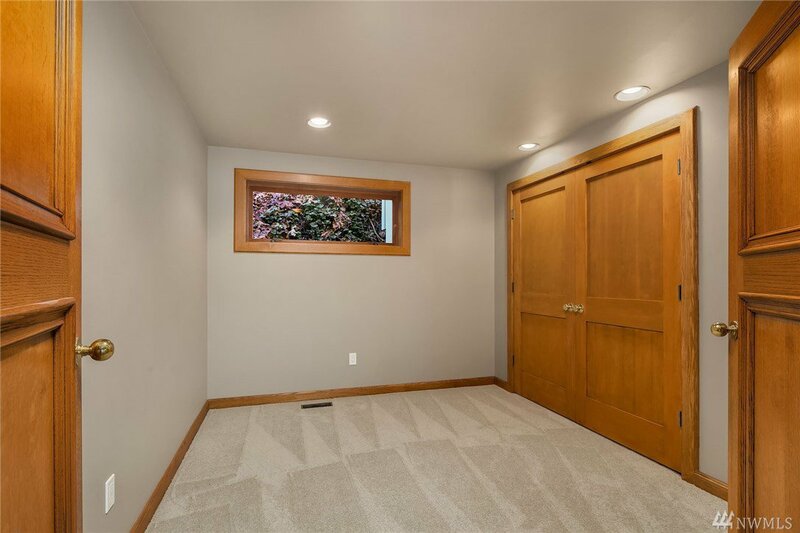 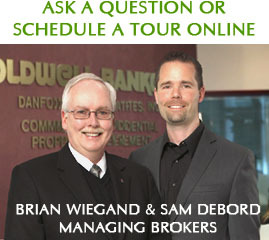 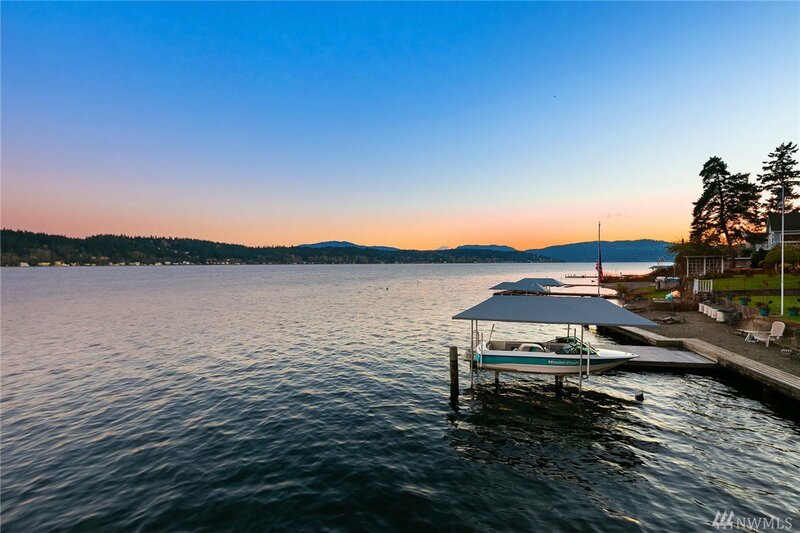 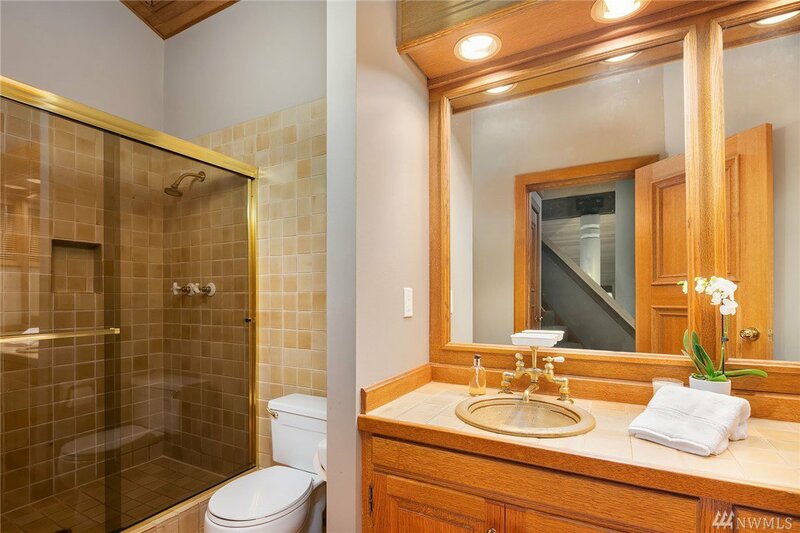 Spacious rooms open to sunlit decks with easy access to lake, lawn and dock. 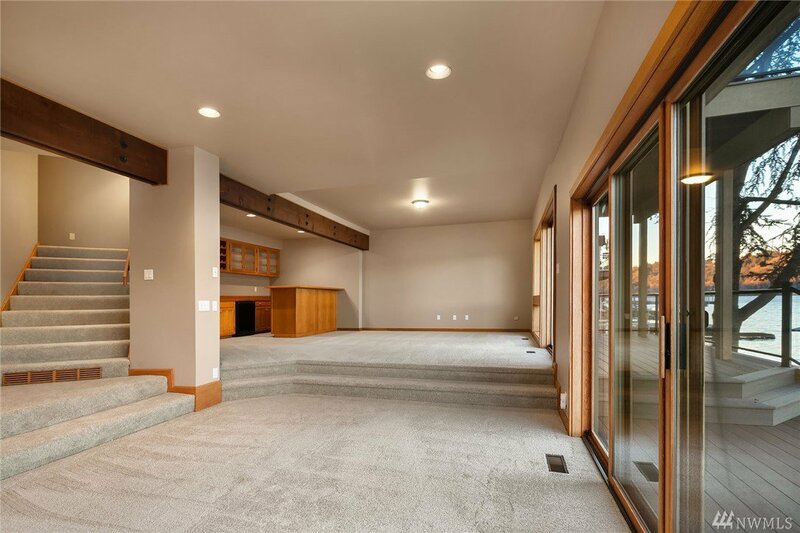 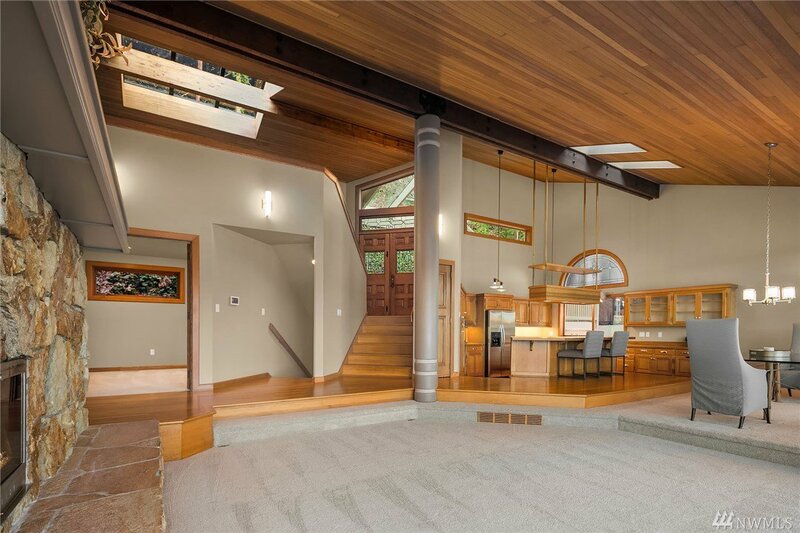 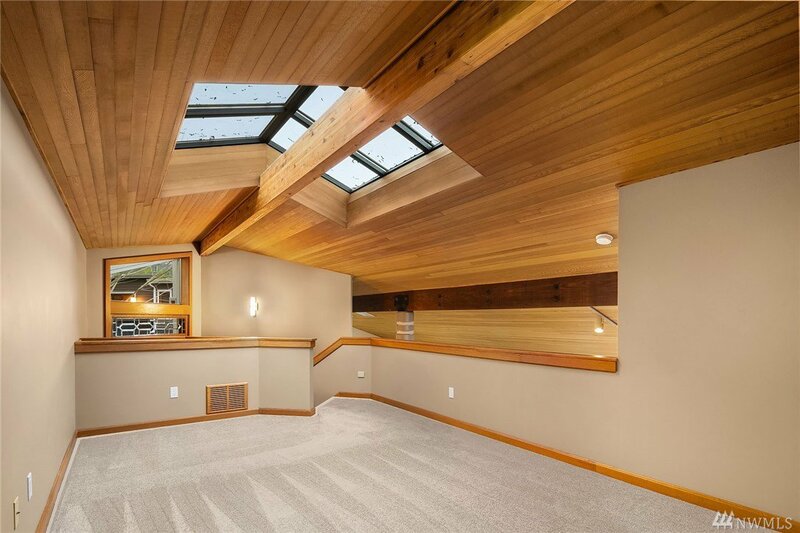 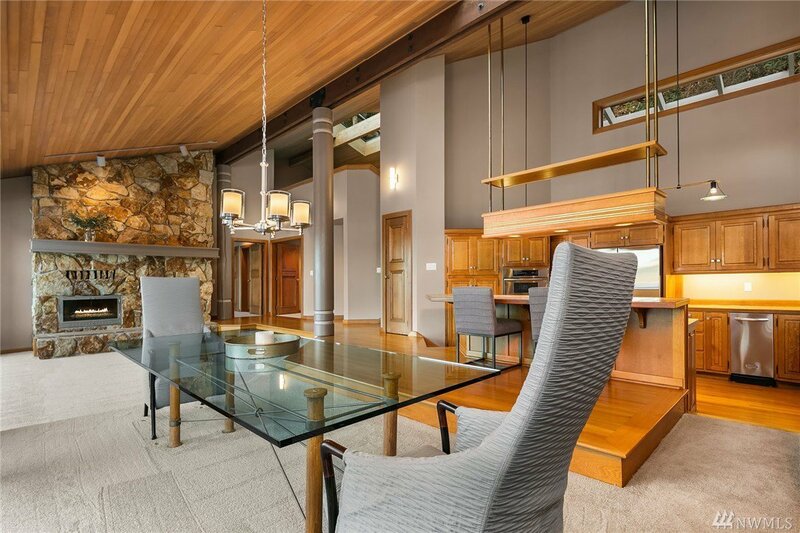 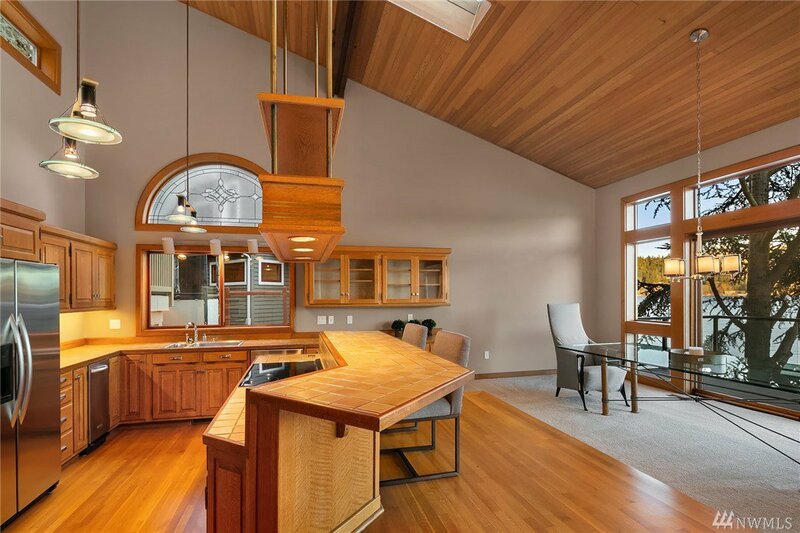 The light filled great room floor plan is enhanced with skylights, vaulted ceilings and clerestory windows creating the perfect ambiance for entertaining or comfortable family living. 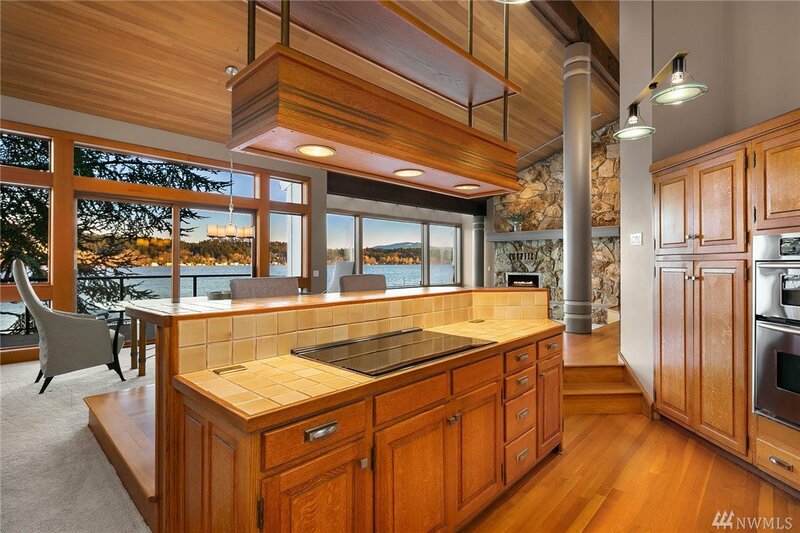 Entertainer's Kitchen, Gracious Main level Master, Sauna. 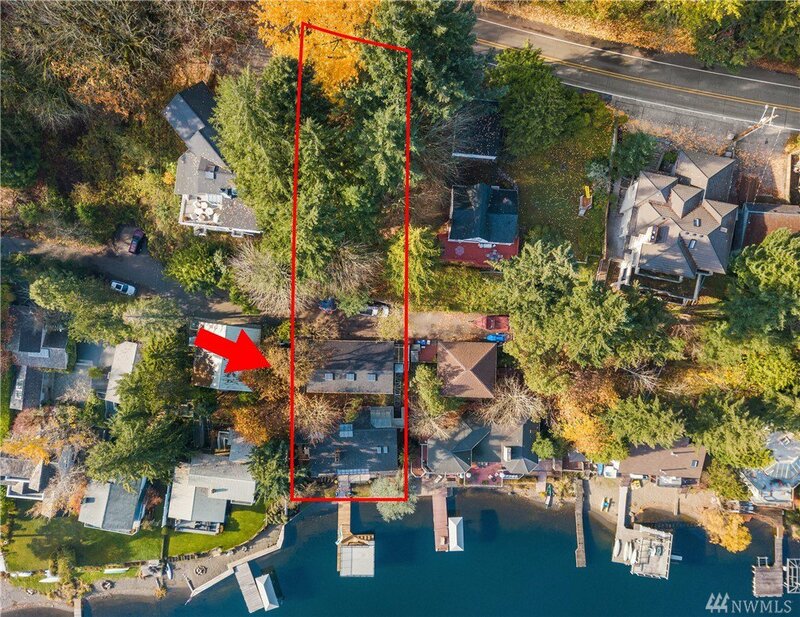 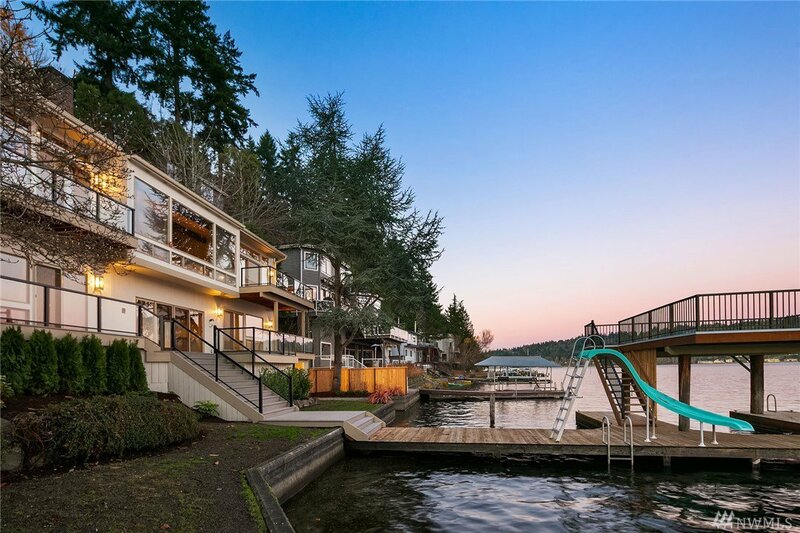 Dock w/separate entertaining level above boat slip. 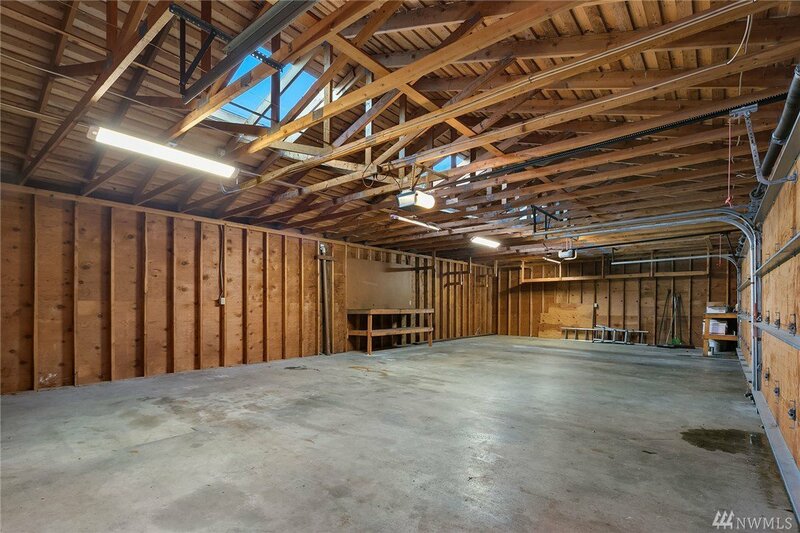 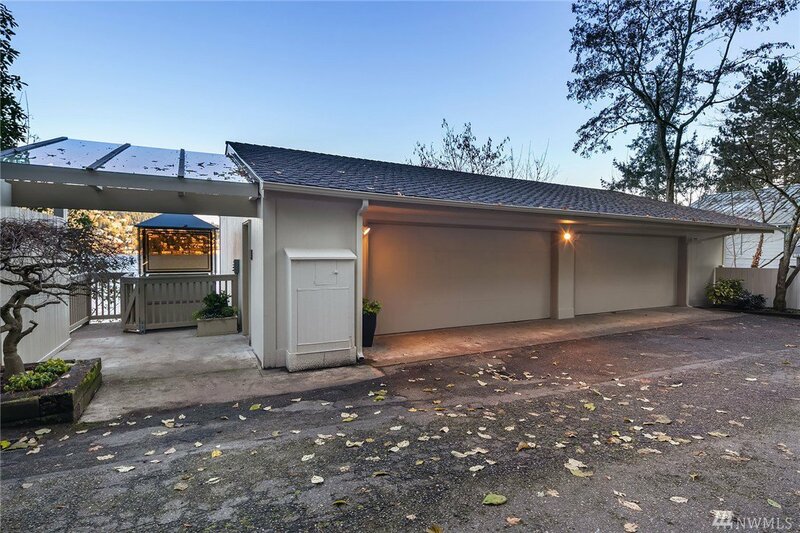 4 car garage w/shop storage area. 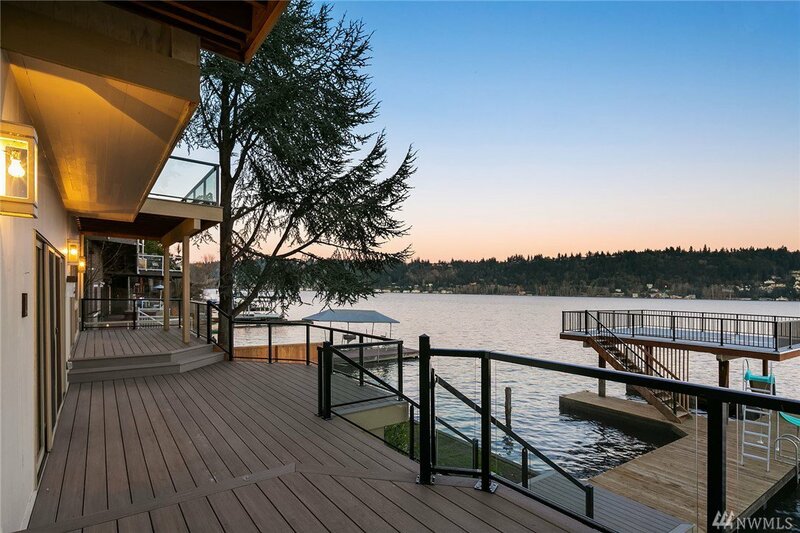 Waterfront living at it's best!